Having the right real estate agent means having an agent who is committed to helping you buy or sell your home. Helping you understand each step of the buying or selling process is my main goal. I am committed to helping you have a stress free home buying or selling experience. Nothing is more exciting or gratifying then the feeling I get from helping people meet their real estate needs. You can count on me to always do what's in your best interest. I pride myself on being honest, trustworthy, and knowledgeable in the real estate market. I know how important it is to find your dream home or get the best offer on your property. Therefore, I will make it my responsibility to help you achieve those goals. Weather you are an experienced investor or a first time buyer, I can help you find the property that best fits you needs. Here is what one buyer had to say about me. 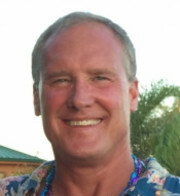 "Sean Jones was a wonderful realtor to work with. I was purchasing out of state and he was always very willing to answer all of my questions. He responded very quickly to any concerns. I would highly recommend Sean as a realtor." Please feel free to let me guide you in every step of this process by calling or emailing me to set up an appointment today.